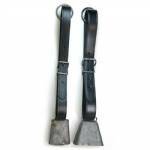 A cow bell is designed to be hung on a wide leather strap buckled around a cow's neck. But by the time we see a customer's cow bell, the strap is usually long gone. This neck strap is designed for an American-style cowbell, similar to the cowbells shown. This listing is for a full length strap long enough to fit a real cow. A full-length strap will be 44" to 48" long from buckle to tip. It can be flattened into a strap for display (as shown) or it can be used for its traditional purpose as a strap buckled around an animal's neck. 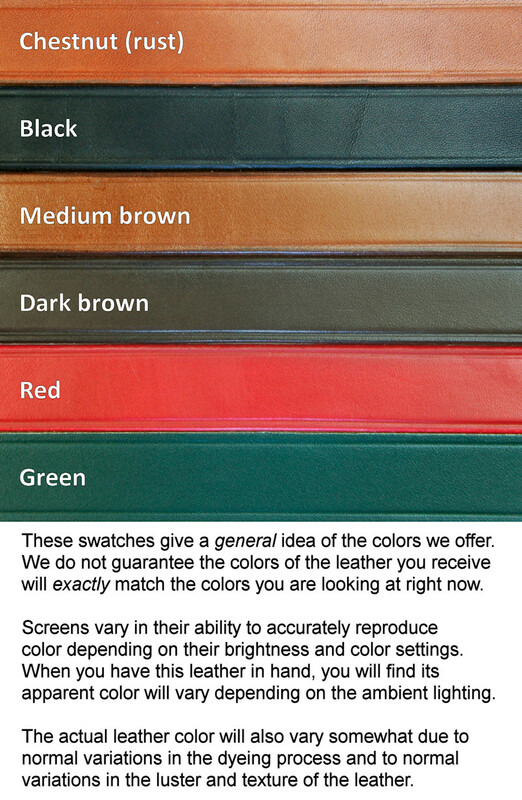 The strap is available in dark brown, black, and medium brown. View colors... Choose the width that will best fit through the loop on your cowbell. Price below is for one cowbell strap and solid brass hanging ring. Hardware and design details may vary -- see photos for examples. Price per each. Strap and ring only -- cowbell is not included.